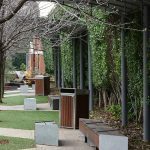 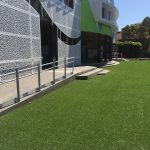 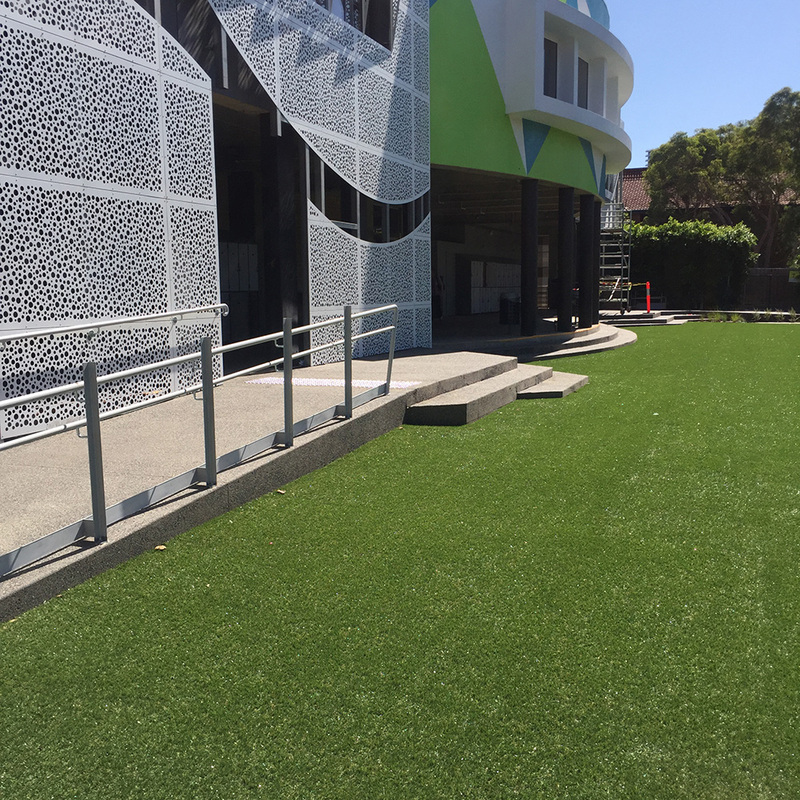 Sitting between a newly surfaced sports pitch and the new science complex, a tired area of trampled landscaping needed a large upgrade. 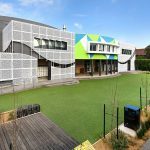 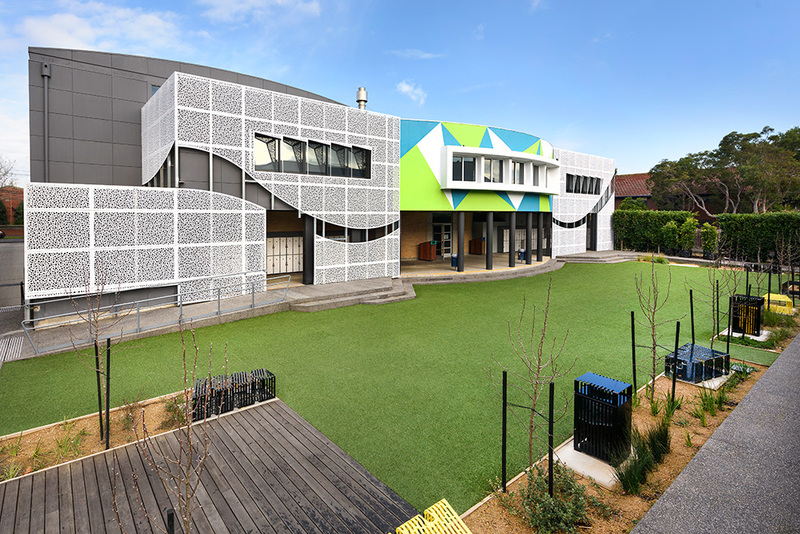 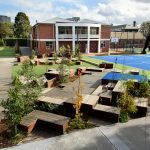 Being the main intersection for students and staff to move around the school, the design had to aesthetically compliment the new surrounding and be robust enough for foot traffic. 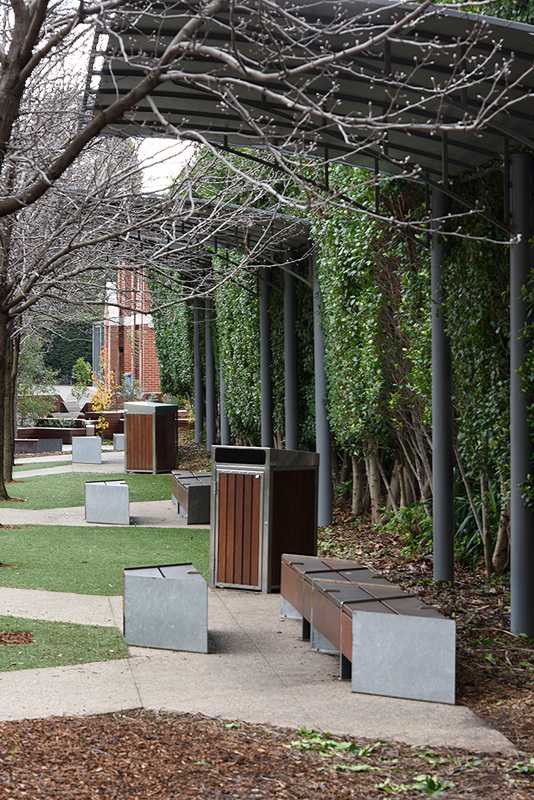 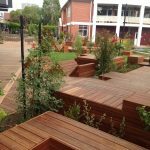 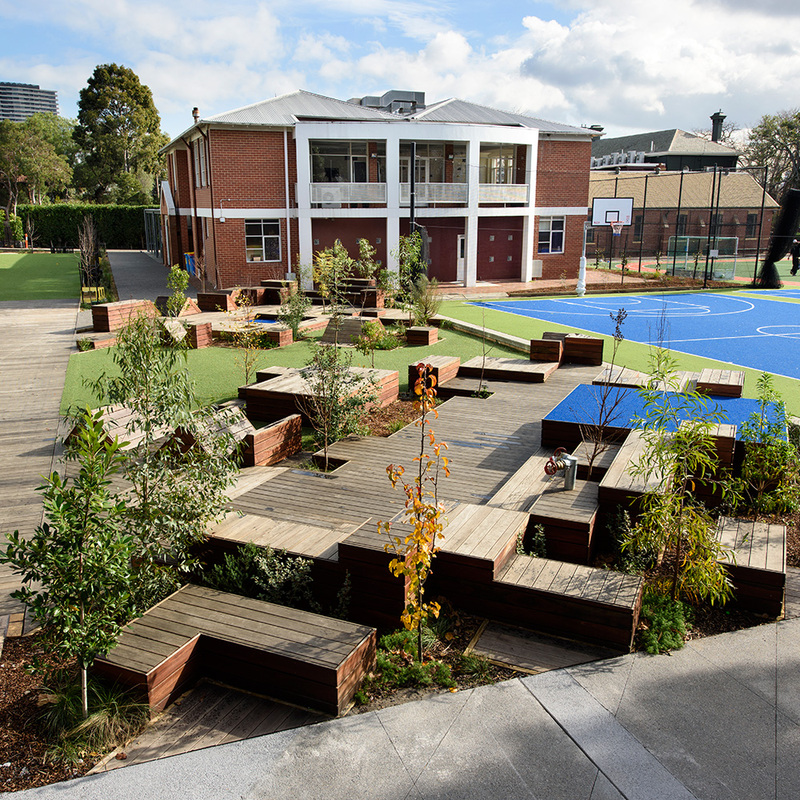 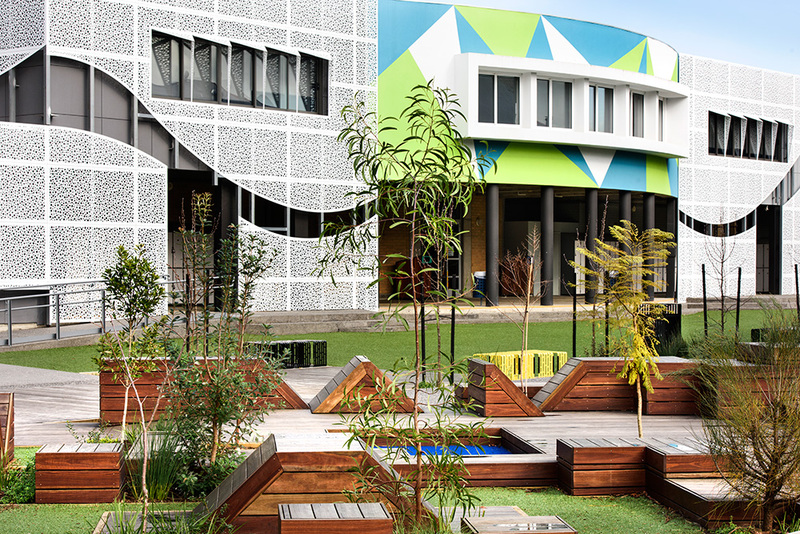 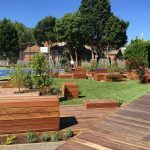 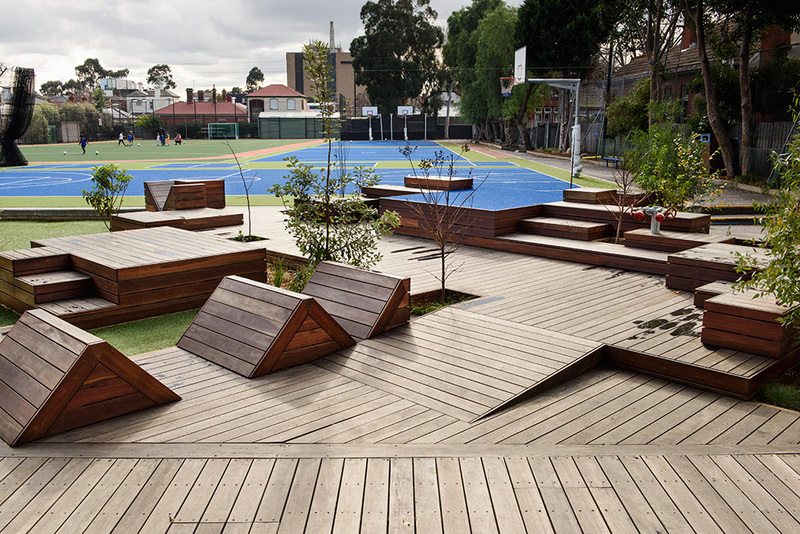 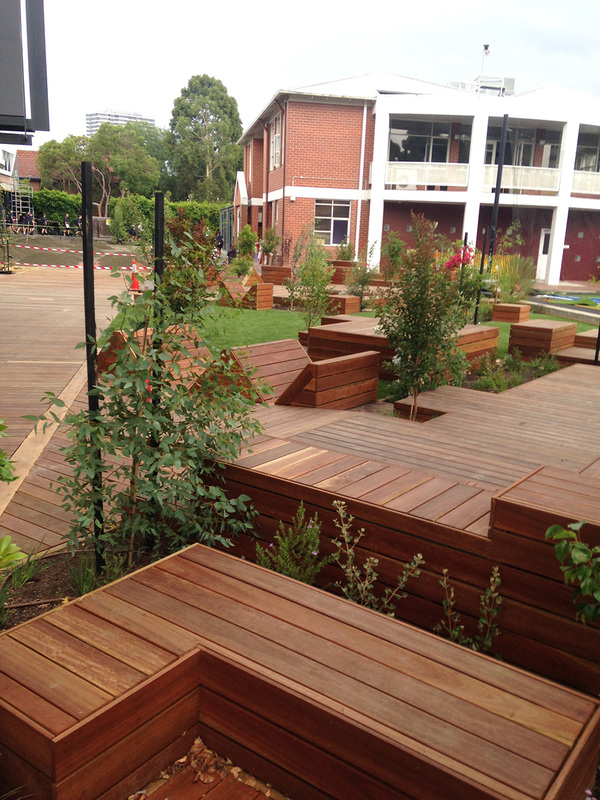 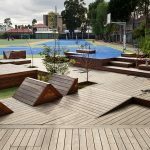 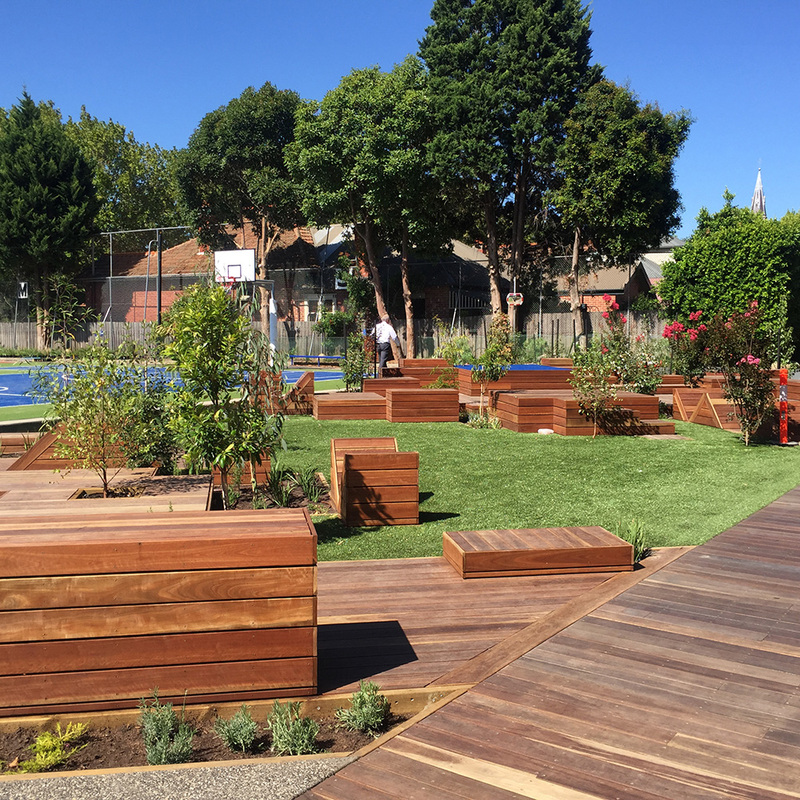 The large raised decking areas create a fun and interesting space for the students. 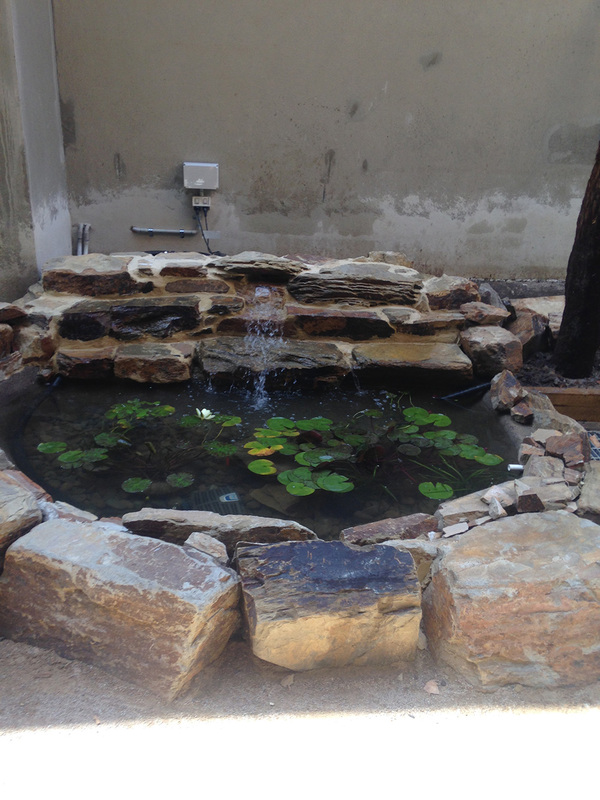 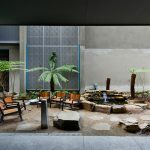 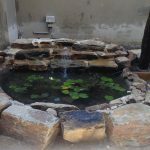 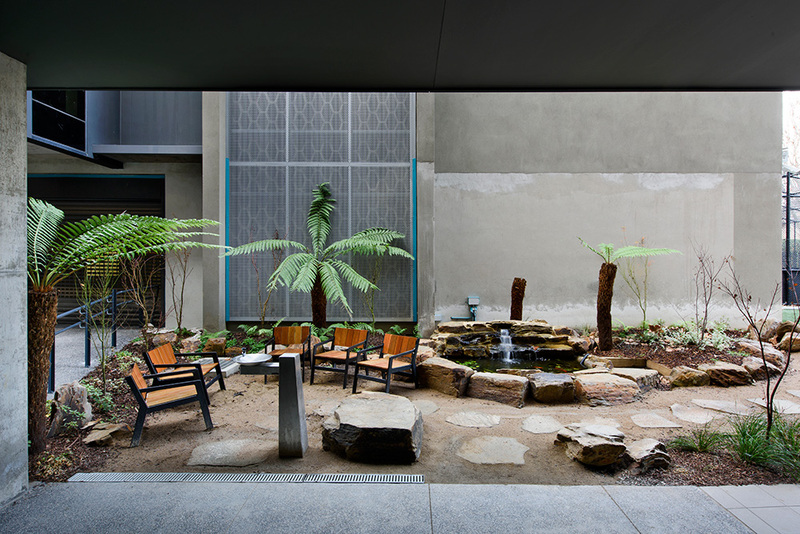 With fish ponds and fountains, large grassed areas and changing soft spaces, this area has become a focal area.